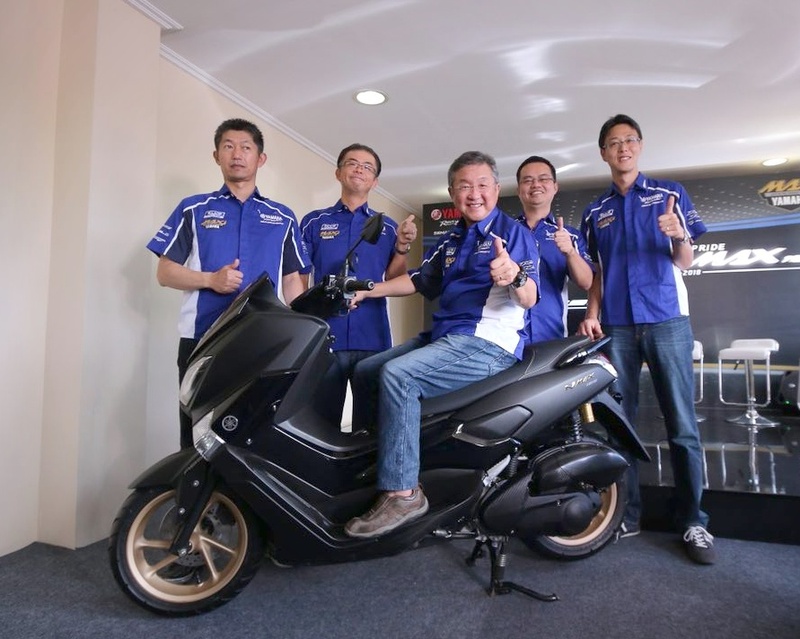 Yamaha Indonesia has launched the 2018 Yamaha NMax 155 in the country. The launch took place at the Sentul race circuit. The scooter features a tag-line 'Live The Pride'. The scooter was first launched in the country in 2015. Since then, as per AISI Delivery data, the brand had sold over 560,000 units until October 2017. Exports until October stood at 140,000 units. The 2018 Yamaha NMax 155 comes with several visual enhancements. The scooter comes with a digital instrument cluster and a new premium seat design. The alloy wheels are in Gold finish for a more elegant look. Wide tubeless tyres with 110-section front and 130-section rear provide better grip. The scooter also gets an LED headlamp. Powering the 2018 Yamaha NMax 155 is a 155cc single cylinder SOHC engine with VVA (Variable Valve Actuation) technology. The mill is capable of generating 15 PS of power at 8,000 rpm, and 14.4 Nm of torque at 6,000 rpm. Suspension bits include telescopic front fork, and twin rear gas-charged shock absorbers. The fuel tank can hold 6.6 litres of juice, and the scooter weighs 127 kg. The scooter features disc brakes on both ends as standard and dual channel ABS is available as an option. 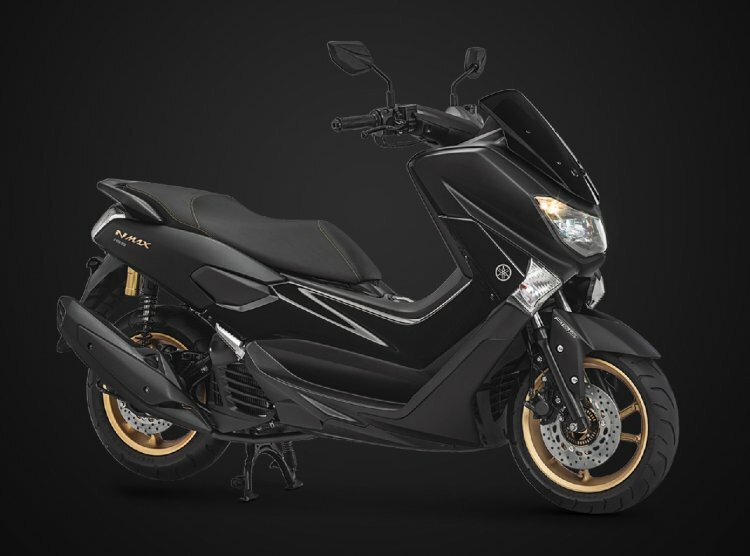 The 2018 Yamaha NMax 155 comes in Matte Black and Matte Grey colours with gold rims, Blue with black wheels, and White with silver wheels. Price starts from IDR 26,300,000 (INR 124,208) for the non-ABS version and IDR 30,200,000 (INR 142,627) for the ABS variant, both OTR (On The Road) Jakarta.